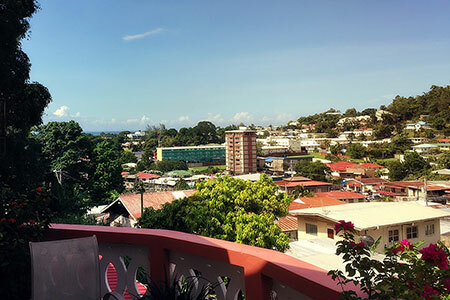 Carolyn's View — Caribbean Affairs Inc.
Carolyn's View, a guest house located in Maraval, and as the name implies, has a fabulous view, with a balcony overlooking the city. The comfortable rooms are reasonably priced. The folks are very friendly and accommodating. We appreciated this, much more than standard hotel luxuries. Well done! !